Marcus Wren, former Senior Retail Property Advisor with The National Asset Management Agency (NAMA), has opened Ireland's only specialist retail asset management company. 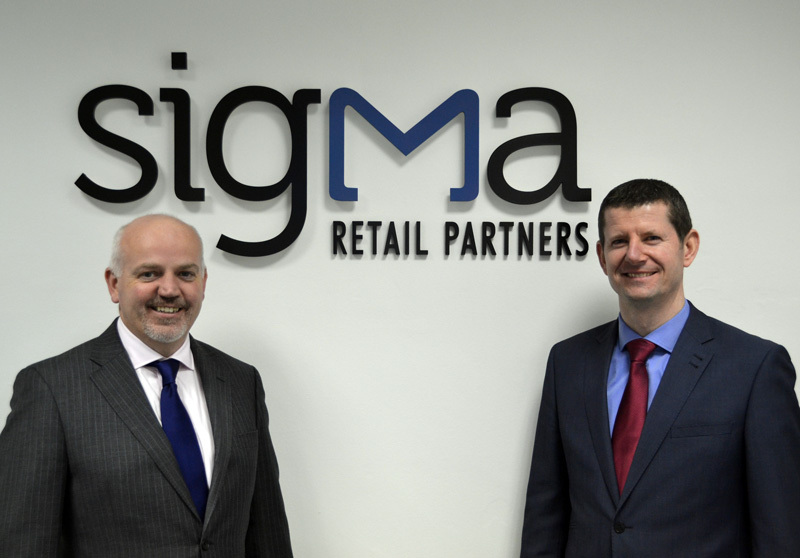 Sigma Retail Partners will provide a wide range of retail asset management services and expert advice to banks, private owners and national and international investors. Speaking at the company's offices in Fitzwilliam Square in Dublin, Mr. Wren gave some insight into the genesis of how the company came about. 'Throughout my four years with NAMA and especially within the past 18 months, a number of national and international investors highlighted the need for a professionally run, independent retail asset management platform in Ireland. The lack of availability of this service was preventing certain investors in purchasing significant Irish retail assets'. Mr. Wren left NAMA in early October and throughout his time there he played a key role in managing NAMA's vast portfolio of retail assets. He worked with hundreds of retailers and owners many of whom were experiencing significant difficulties due to the collapse in the Irish economy. Working closely with his former colleagues, asset owners and receivers along with many legal and property professionals, Mr. Wren played a key role in the assembly and sale of numerous major retail portfolio sales which were the first of their kind in Ireland. These included the Acorn and Parks Portfolios which achieved in excess of €320m combined, €100m more than initially anticipated. Both portfolios comprised retail assets located in a wide spread of provincial towns and cities throughout Ireland. Sigma Retail Partners has been formed to assist new and existing owners and their financiers to maximise the value of their retail assets. We prepare a bespoke strategic plan for each asset, which dovetails with our client's specific objectives in terms of timing, target value and IRR. Due to the ongoing transient nature of ownership throughout Ireland there is a real danger that many significant retail assets are not being managed to their maximum potential. Sigma Retail Partners will address this and we will form long term strategic partnerships to ensure the best possible outcome for our clients' said Wren. Marcus Wren has over 20 years experience in the retail property sector. Prior to joining NAMA he was a co-founder and Director of Bannon, one of Ireland's most successful commercial property firms with particular expertise in the retail property sector. Neil Bannon of Bannon is also a co-founder and Director of Sigma Retail Partners and brings with him 25 years of retail asset management and property management experience. Mr. Bannon played a key role in the design, letting and asset management of many of Ireland's prominent retail developments including Dundrum Town Centre, the most successful shopping centre in the country.